Lets talk about car seats. This topic I believe is most important for all moms. We want the best/ safest car seat out there, and some want the most for your buck. Car seats are expensive and its definitely an investment. 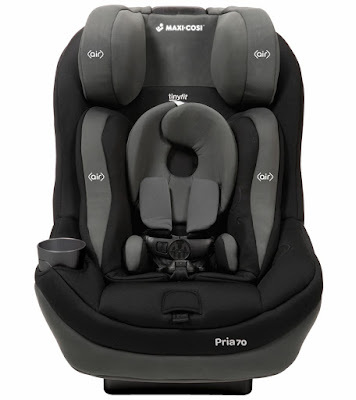 I recently got the Maxi cosi Pria 70 with TinyFit. This car seat is all that and more. Most would ask why my 2 month old is in a convertible car seat and not an infant seat. This car seat is meant to fit your child as he/she grows. How awesome is that? You can rear face and front face your child depending on their weight. It has a great incline for my tiny tiny babe. One car seat till babe doesn't need one no more. So what better way to save money and feel at ease that your little one is completely safe. 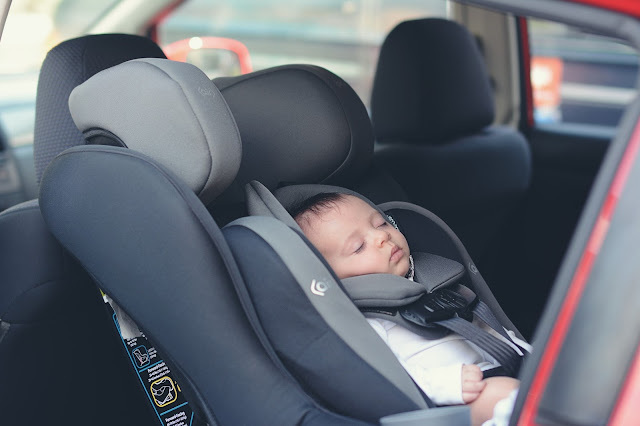 Top rated for safety, comfort and a best fit in the vehicle, the latest generation of the Pria™ 70 with TinyFit™ is here. The Pria is known for advanced safety utilizing FlexTech™ for multi-directional crash energy management and Air Protect® for advanced side impact protection. Im really excited to share this with you all. If you're on the hunt for a car seat this is definitely the way to go. 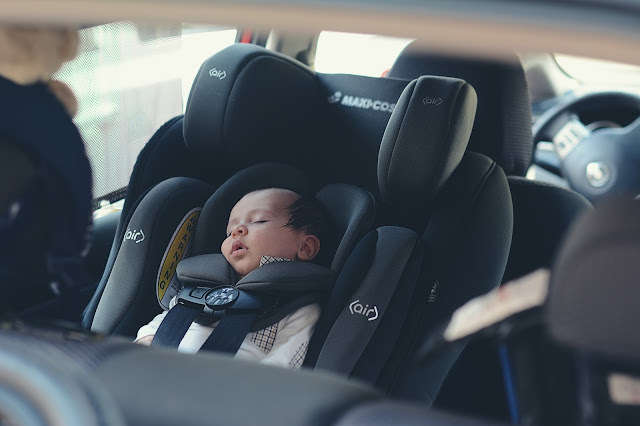 This car seat feels luxurious to the touch with amazing comfort and padding. I know my little is feeling like a king. I will link Maxi-Cosi site for more information. If you are a new parent and you are looking for a seat to attach to your stroller this isn't the car seat for you, Maxi Cosi also makes great infant seats. But for me this is the best and you save a lot in the end. That sounds like a phenomenal car seat. I wish this had been around back when my boys were babies. I think this is the safest car seat I have ever seen. I will show this post to my daughter. She needs new car seats for her babies. Thanks for the review. That courtesy looks like one of the best car seats I've ever seen. Extremely pattern to keep that baby safe. I think my sister-in-law has this one and she loves it. Wow. That is awesome to have a seat that fits infants and all the way up. Quite the money saver. Looks really comfortable for the baby too. Great review. This car seat looks amazing. It seems to very well thought out and designed for safety and comfort. This looks like the perfect car seat for kids, it's sturdy and it's durable too. Definitely a good choice! I wish I had this when the twins were younger. I know a couple of people with new babies that would probably like to know about this car seat. I will pass this along to them. Oh wow, that really looks secure. Of course, the real comfort level is gauged personally but I'm not into the necessity yet. However, the good thing is I already have my eyes set on this one in case I need it! Your baby sleeps so comfortable! I love your review and I'm going to try this product when I got smaller kids again! This car seat for babies looks so awesome. The baby looks so peaceful while sleeping. No more worries for parents while driving! Oh what a teeny tiny baby! I love that you can rear face and front face your child with this seat! This is really designed well to make sure baby is as comfortable and safe as possible. I'm pretty impressed with it! That looks like an amazing car seat. It looks very comfortable too. I bet it's great for keeping babies safe. Oh, I remember my son when he was just so little. Driving can be crazy without the perfect gear for your little ones, this product looks great! This looks like a wonderful car seat. I had something very similar with my last baby. My daughter is TTC and I'll share this post with her. I'd love to get this for her if she is successful. Lovely looking car seat and looks like its one where a child can go with it. Safety first, always with the kiddos. Looks like that's all covered here. Nice!